A while back WhatsApp introduced SnapChat like WhatsApp status feature. The feature met with quite a lot of criticism specially from the users who wanted the old text based status feature. Now in the latest WhatsApp beta version, Facebook is working to bring back the original text status feature named as ‘About’. The feature is currently being tested in the beta build of WhatsApp for iOS and Android. It is still under consideration that whether the old status feature would replace the current one or if the two would co-exist. The WhatsApp beta testers are able to view the old status under the ‘About and phone number’ section. The old status wont automatically disappear and users would be able to use presets such as Available, Busy, At the movies and so forth. The statuses of users will appear in their profile page. 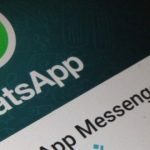 There’s no fixed timing that when will this feature come back on WhatsApp but it is expected and hoped that it will get released in the upcoming update and would be warmly welcomed by the users.